So today we got messy carving our Halloween Pumpkins and keeping in mind my pledge to reduce food waste, we made sure we made use of the whole pumpkin. After scooping out all the inside, or brain as my children chose to call it, I started to separate all the flesh and seeds. It didn’t take too long and we were really impressed how many seeds hid inside these little guys. 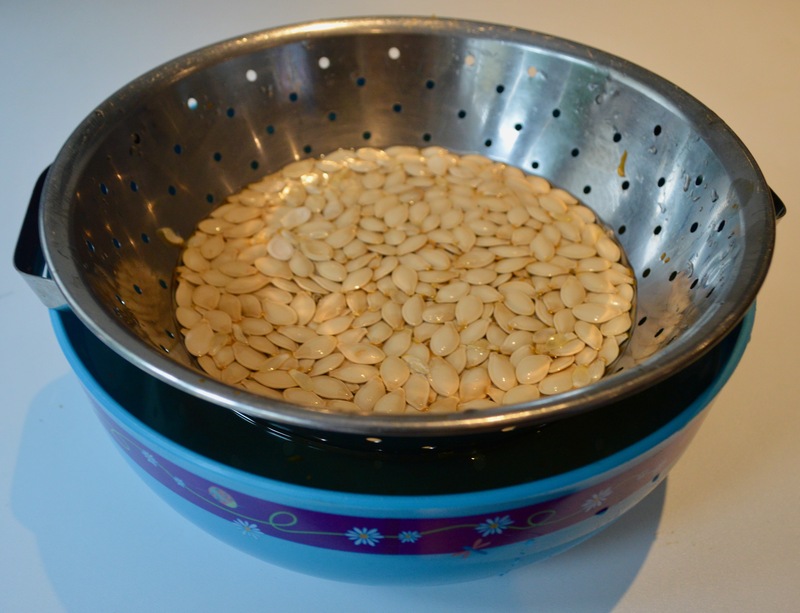 A tip for when you wash the seeds – I put all the seeds into a colander, then put the colander into a bowl of water. 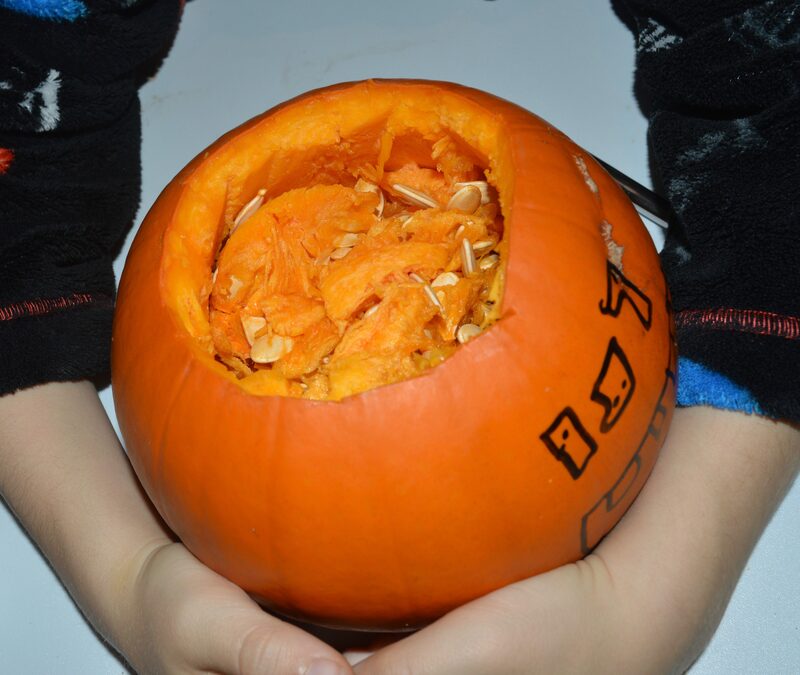 The seeds float to the top and most of the gunk sinks to the bottom and goes through holes into the bowl. Get your hands in there and give them a good clean. 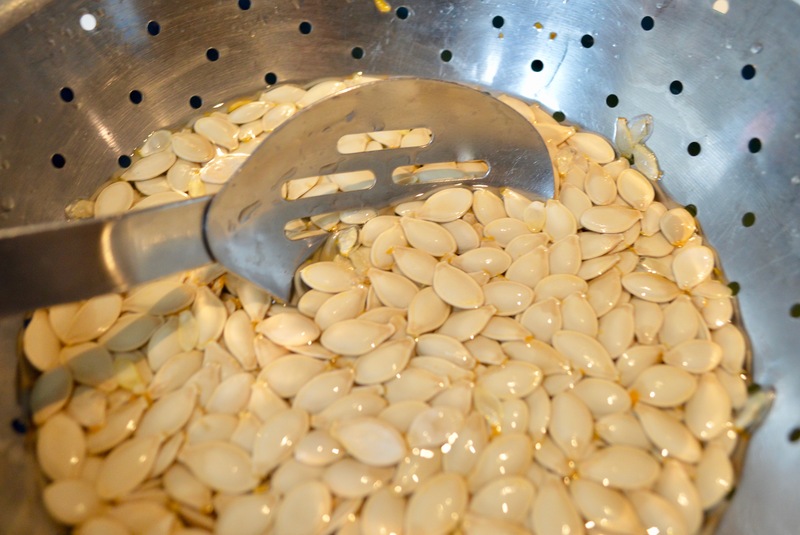 Then use a large slotted spoon to skim the seeds off the top, just to make sure the gunk has gone. If you have more time, you can just leave the seeds to soak and wait for the science to happen, seeds float, gunk sinks. You can also soak them boiling salt water, this gives them an extra crisp when you have roasted them, but it’s not essential. We made Cinnamon Sugar flavour Roasted Pumpkin Seeds and they are utterly delicious. With all the flesh that we saved we have cooked up some amazing soup. The smell in the house is beautiful and making our stomachs rumble!